Personal Property Auction — Harritt Group, Inc.
Patricia Smith will be auctioning her lifetime personal property collection. Highlights include Diesel Massey Ferguson zero turn mower, Cub Cadet mower, 2002 Dodge Caravan and large selection of antiques. 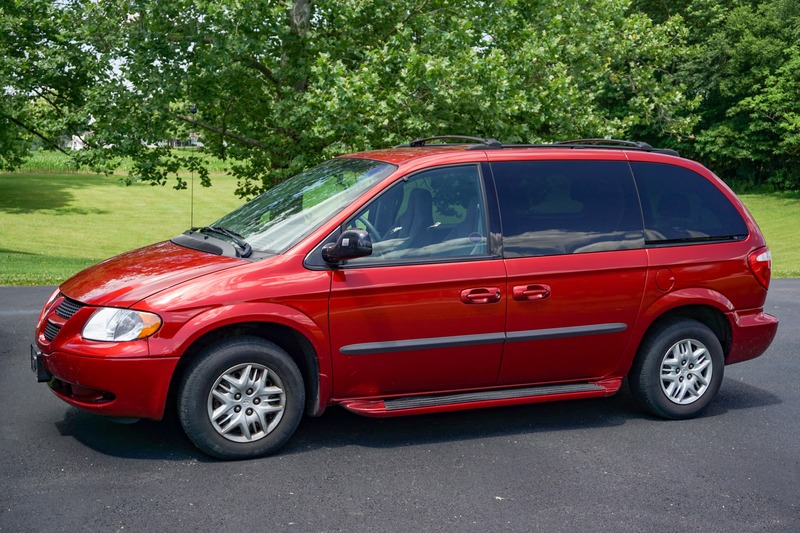 2002 Dodge Grand Caravan Sport with 80K miles, 1 owner. Massey Ferguson ZT 25479 Diesel zero turn mower, Cub Cadet Heavy Duty GT 2544 44” cut riding mower, wheelbarrows, Yard Machines 6.5 HP wood chipper, seeders and electric yard tools. 1 ton chain hoist, Homelite chainsaw, 10’ folding fiberglass Louisville Ladder, aluminum extension ladder, yard and hand tools, electric pressure washer, gas cans, hardware and more. Tell City chairs, 3-piece ornate victorian love seat and chair set, corner cabinet, dinette set, large mirrored hall tree, oak table with claw & ball feet, oak secretary, king size bed, full size bed, night stands, dressers, wash stand, cedar chest, curio cabinet, walnut plant stand, wicker furniture, modern dining room table and (6) chairs, futon, new mission oak style bookcase, sofa and loveseat set, leather and cloth recliners, sofa sleeper and more. Black Hawk corn sheller, unsigned blown glass Zimmerman lamp, copper wash boilers, The Howe Scale Co. platform scale, railroad lanterns, Union Pacific spittoon, Kannapel Dairy, Eveslage, Twin City and more milk bottles, Harrison – Floyd Farm Bureau rain gauge, regulator wall clock, Chicago Telephone Supply Co oak wall phone, Juicy Fruit 3-gallon press, Cousances cast iron dutch oven, cast iron cookware, apple peeler, sad irons, stoneware jugs, several blue ball jars, (2) milk cans, RCA and Crosley radios, brass blow torches, vintage phones, 80lb beeswax candle, decanters, excellent vintage tree leaf collection book, R.C. Allen typewriter, vintage black and white framed photos, Dalia pasta maker, retro metal cannister set, rolling pins, vintage 1 gallon Smirnoff vodka bottle with original box, Barbie truck, records, oil lamps, flatware set, large Montefiori eagle figurine, large selection of clown dolls, figurines and art, vintage bottles, reproduction Grandma Moses framed art pieces, glass insulators, retro stereo equipment and dozens of state collector plates. Small kitchen appliances, large selection of glassware, Christmas decor including large selection of dishes, stainless bread box, linens and more. I-64 West to Georgetown Exit #118. Right on IN-64 West 14 miles through Georgetown to Ramsey. Auction on right just after Chinn Equipment.